Both termite and pest control inspections are FREE, an estimate will be provided at time of inspection, in most cases we are able to start at time of estimate. When it comes to pests, “out of sight” doesn’t always mean “out of mind.” Signs of a pest infestation are difficult to spot. That’s why contacting Northern Neck Pest today is crucial to helping protect your home—before pests attack. Call us today to schedule your free estimate. We can begin treatments immediately at time of estimate. Termites are broadly divided into three major termite groups: subterranean, drywood and dampwood. Locally the majority of termites we encounter are subterranean. Subterranean termites are part of the family Rhinotermitidae. With few exceptions, these termites require contact with the soil, which provides optimal temperatures and moisture for their survival. Subterranean termites build underground nests connected to aboveground food sources via mud tunnels. 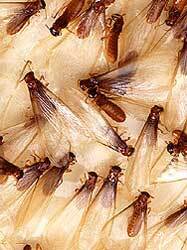 Subterranean termites are by far the most destructive termite species. These underground termites are responsible for the majority of termite damage to homes and buildings in the U.S. and especially here at home in Northern Virginia. The best way to eliminate a subterranean termite infestation and prevent future infestations from damaging your home and business is to hire Northern Neck Pest to perform professional treatments. Northern Neck Pest's trained professionals utilize all options at their disposal to resolve your termite and pest infestations. Northern Neck Pest uses America’s top professional termite defense products such as Termidor® and Timbor®. Northern Neck Pest has many options at our disposal to treat and prevent any termite infestation. Termite control is a completely different program than pest control. We send our trained technician to your home for a free inspection and free estimate. There are 2 different types of termite treatments. Complete treatment – treating 100% of the soil around and under the foundation of the structure. This is the type of treatment best recommended when there is a heavy termite infestation. EP/LI (Exterior perimeter and localized interior) – treating the soil around the exterior perimeter and treat key areas where termites are active or are most likely to become active. This is the type of treatment recommended when there is a light termite infestation. Our technicians will recommend what they feel is best for your individual situation, but we will provide an estimate for both types of treatment. All of our treatments are water based with no chemical odors. Scheduling: We work very hard to simplify this process and to make it easy for the consumer. We contact the customer when it is time to schedule the service and do our very best to work within what is the easiest for them. Also, rest assured we will not perform any services on your property without your prior approval. We removes spiders, mice, ants, crickets, fleas, ticks, roaches, bed bugs*, all wood destroying pests such as carpenter bees, carpenter ants, powder post beetles, termites and general pests. PLEASE NOTE: the process of removing fleas, bed bugs and roaches can take multiple treatments to resolve. Quarterly Pest Control – This is our most popular service, we come on a quarterly basis and service interior and exterior for general pest control and mice. If you have any problems between the quarterly visits just give us a call and we will come back at no additional charge. One Time Pest Control Service – This is a one-time service catered to our customers needs, with a 30 day guarantee. 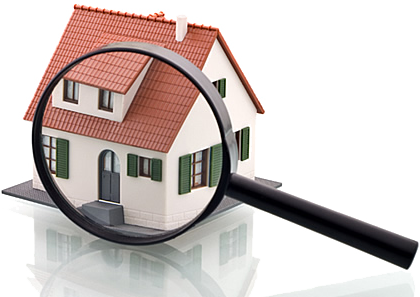 Real Estate inspection are available, please call to scheudle. We deploy moisture meters to measure wood moisture content to help determine the best solutions required to treat and prevent future infestations. Moisture barriers - We install a moisture control 6 millimeter poly barrier between home and ground. Temp Vents - We installs temperature vents to help control humidity levels in your crawl space. Timbor - We apply timbor to all exposed wood surfaces to control wood decay fungus.